Over the years at their current school, we rarely see art projects until the end of the year and usually most disappear before they even get home. So when the kids do show up with something there is great celebration. 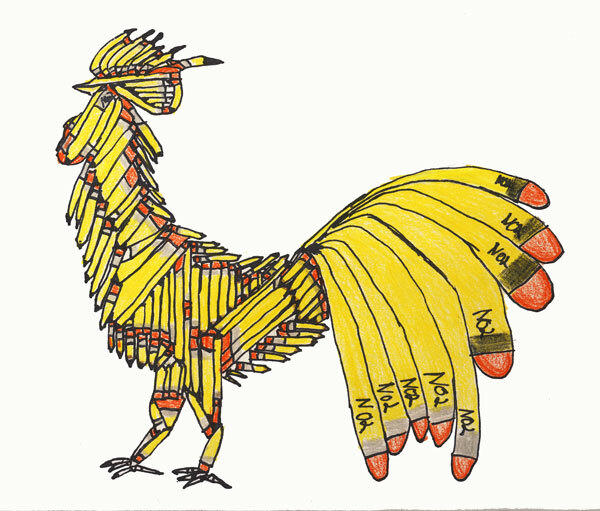 This entry was posted in art, rooster, son. Bookmark the permalink.